For around-the-clock furnace repair in Lincoln NE and surrounding areas, trust Bryant Lincoln. Our heating and air service team does whatever it takes to restore your heating whenever you call. Any time, day or night, any day of the year, our NATE certified service technicians provide efficient, prompt solutions for furnace repair. 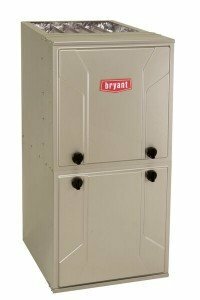 No matter the brand of furnace, when you need your furnace fixed, you need Bryant Lincoln. Our team of NATE certified service technicians stay up-to-date with the latest and most sophisticated technology. We’re one of the top Bryant Factory Authorized Dealers, recognized for superior service, knowledge and expertise. Whether you’re in need of furnace repair or a furnace replacement, Bryant Lincoln provides the performance you need. We offer experienced furnace repair service with high quality and efficient heating equipment to ensure you have a long lasting solution. You can request an appointment for furnace repair by completing our contact form or calling us at 402-470-8162. Our goal at Bryant Lincoln is to provide you with the best possible customer experience offering experienced and reliable heating repair services. When your heater fails, no matter the brand, turn to the company Lincoln has trusted for over 65 years for any your furnace repairs. If it’s time to replace your furnace, request a free estimate and see what furnace replacement options we have to offer.